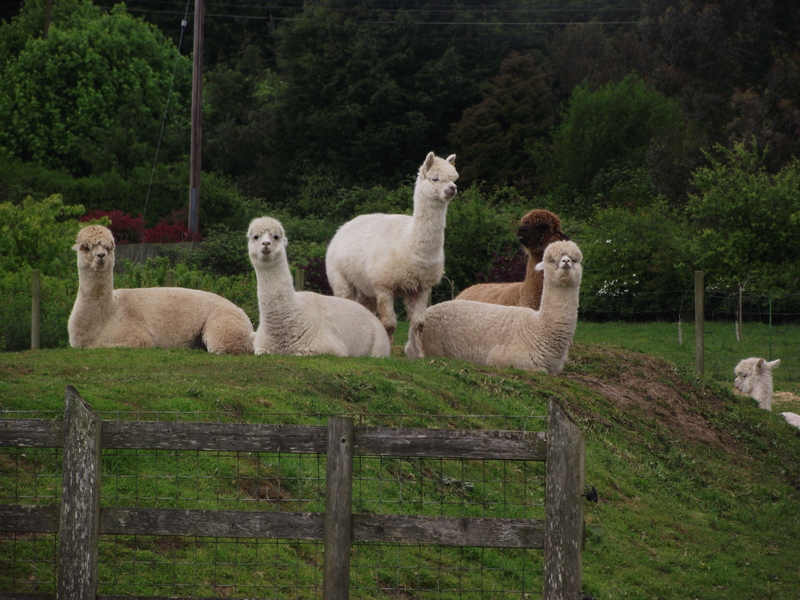 Whilst the Alpacas enjoy themselves lounging about on the small hillock in their field work goes on elsewhere……….. 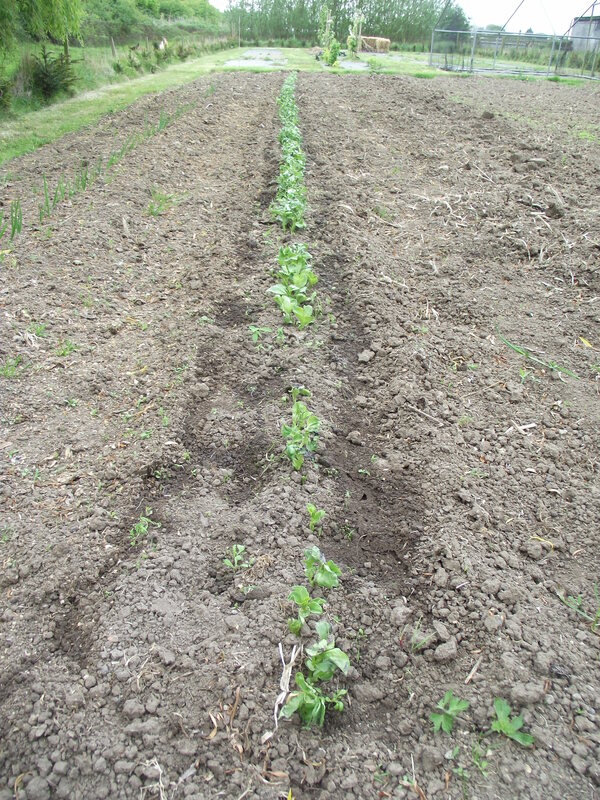 The broad beans I had planted under plastic to stop the mice eating the beans have grown quite quickly and are now straining at the leash to be free. 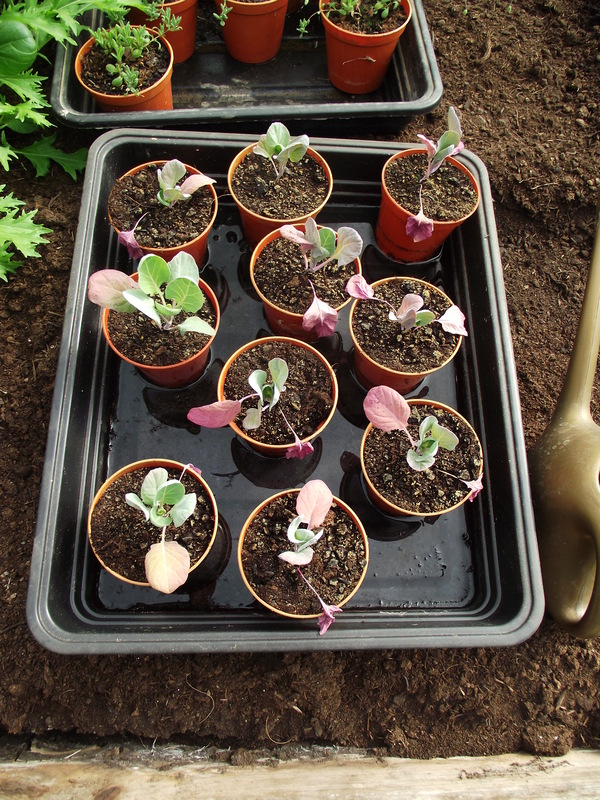 And here they are – an almost 100% germination rate. 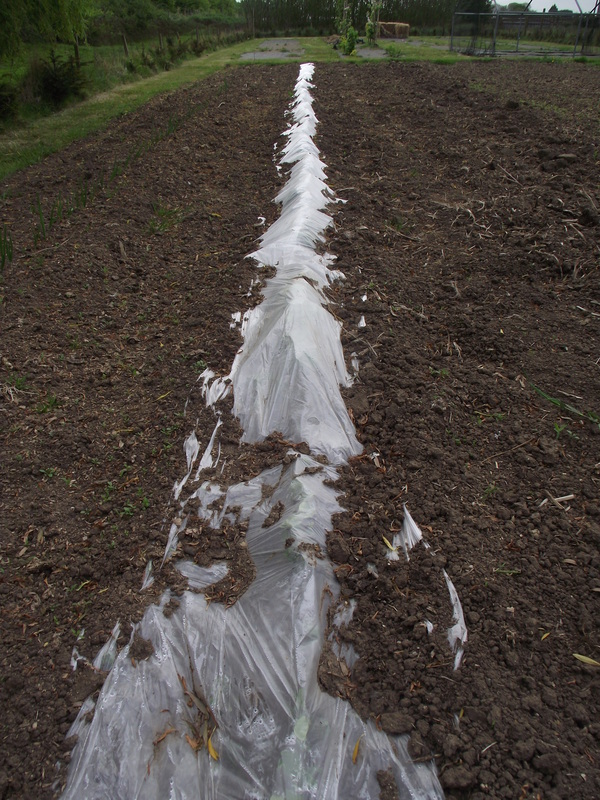 Plastic is the way to go for me now – and its reusable if you are careful in rolling it back up when finished. 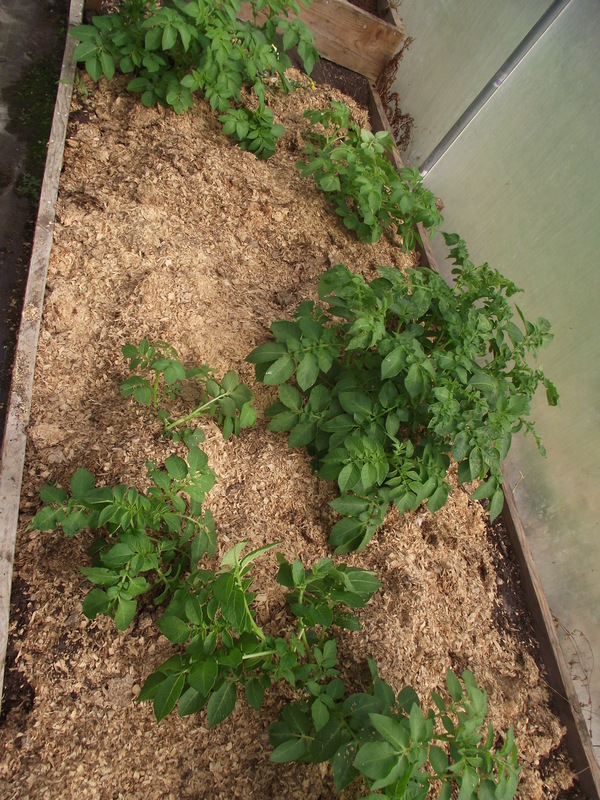 The spud patch at the end is coming along – the spuds are planted – I am now covering them with grass cuttings as they come up. 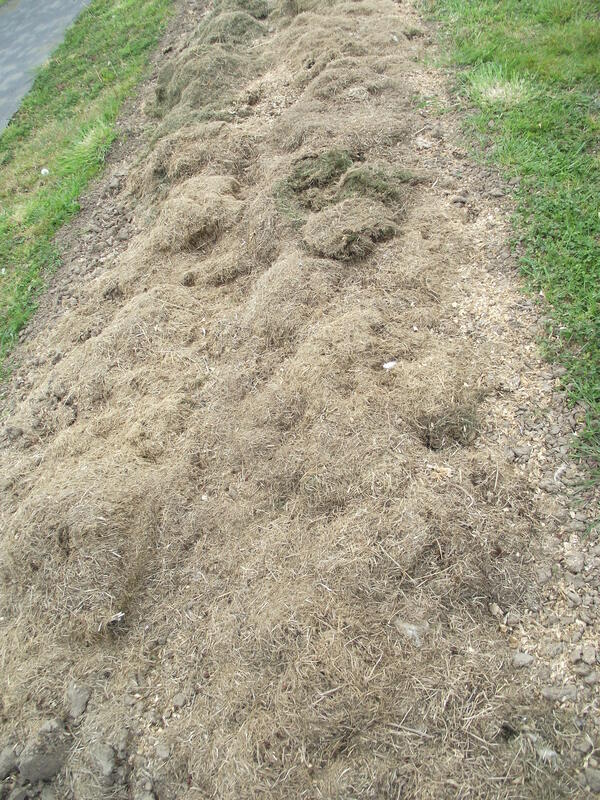 I am hoping when I come to dig the spuds it will be very easy – and the resultant mix of grass/poo/earth will improve the soil in this bed. 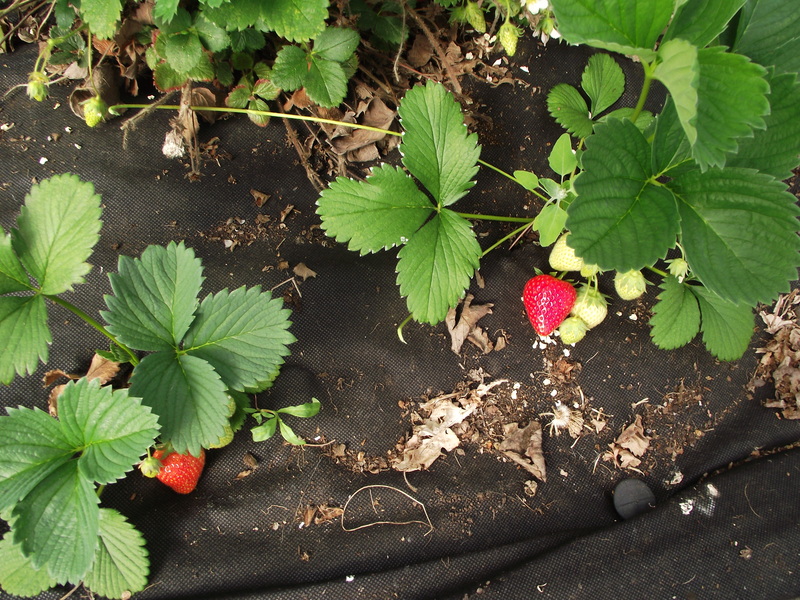 Inside the poly the strawberry plants have begun producing………strawberrys for desert today!! Sprouts – re-potted, but not really kicking on yet – too small to plant out. 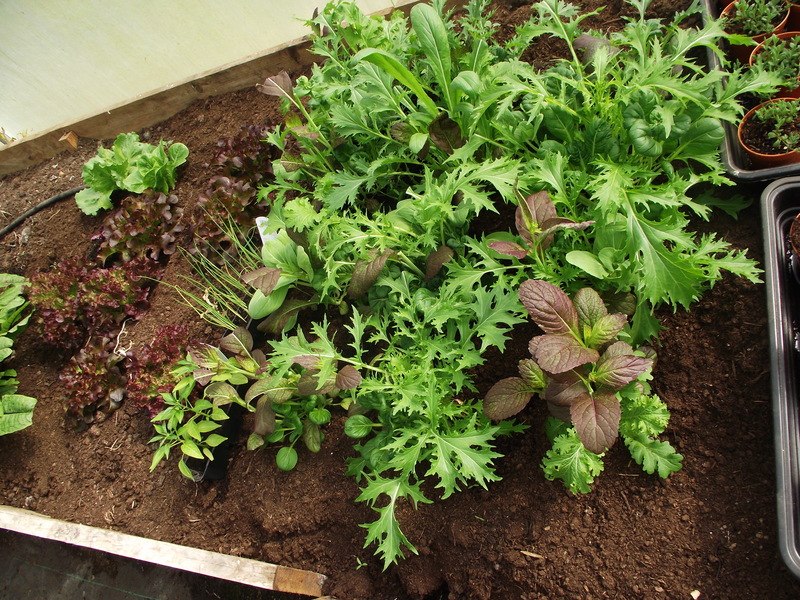 Salads now online – having difficulty now eating enough of them!! 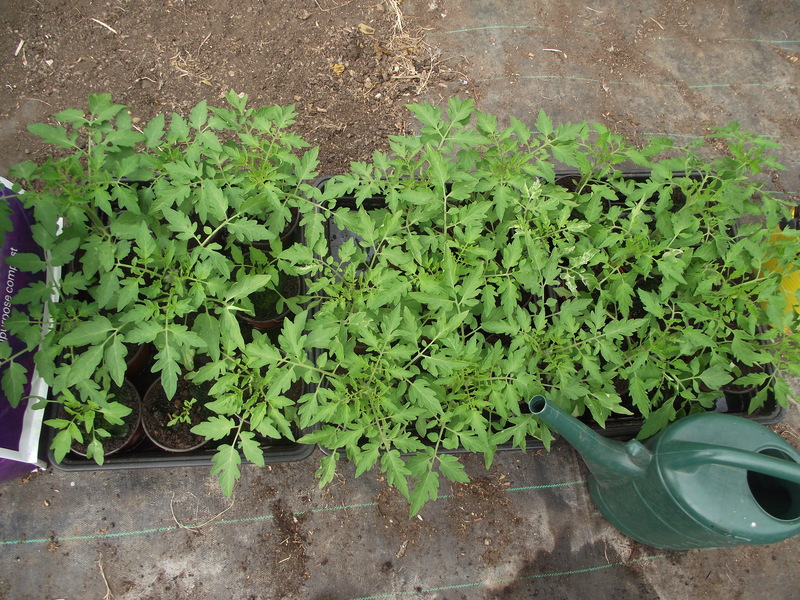 Tomato plants – 3 kinds yellow plumb, black Russian and a pearl – still too small to plant out. They are not staying in the poly this year, so need to go out when the chance of frost has diminished towards the end of this month. 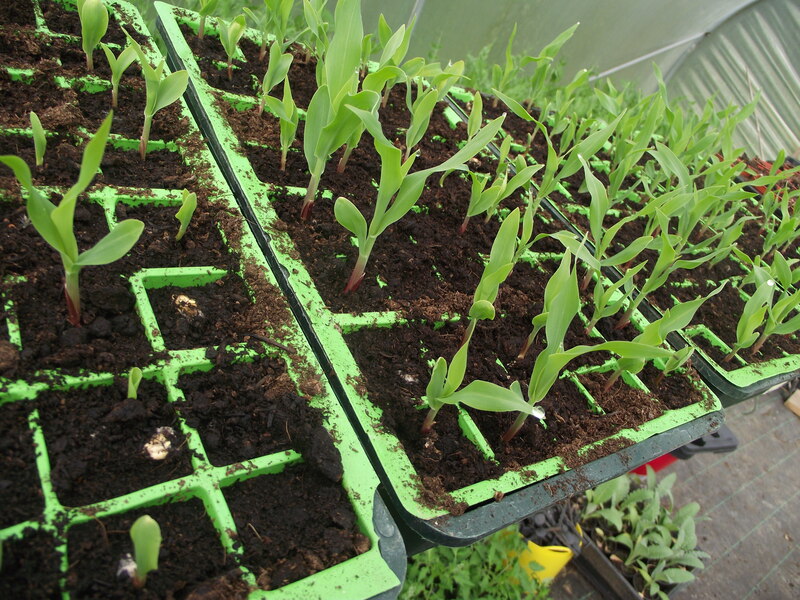 Sweetcorn seedlings – about 120 so far out of 160 sown – these wont go out for another 3-4 weeks. 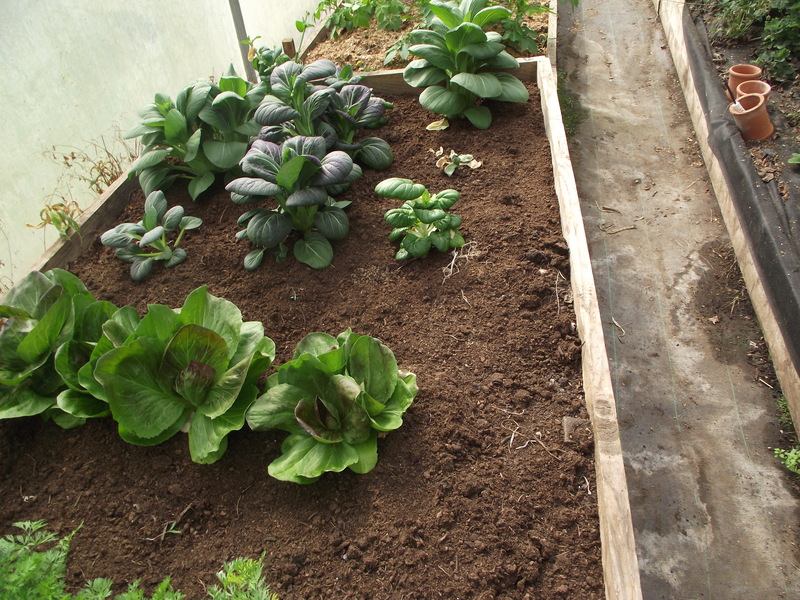 They wont all get eaten – the idea is to use the rest for the chooks over winter. And the peas!!! Glory. Glory. 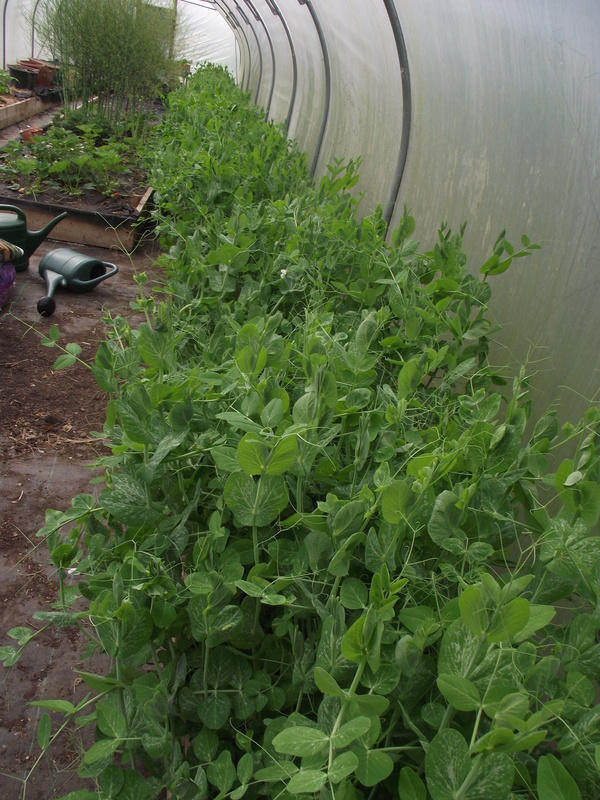 They are starting to flower so I still think that these could be cropping in June and I should get another crop in by the end of June. 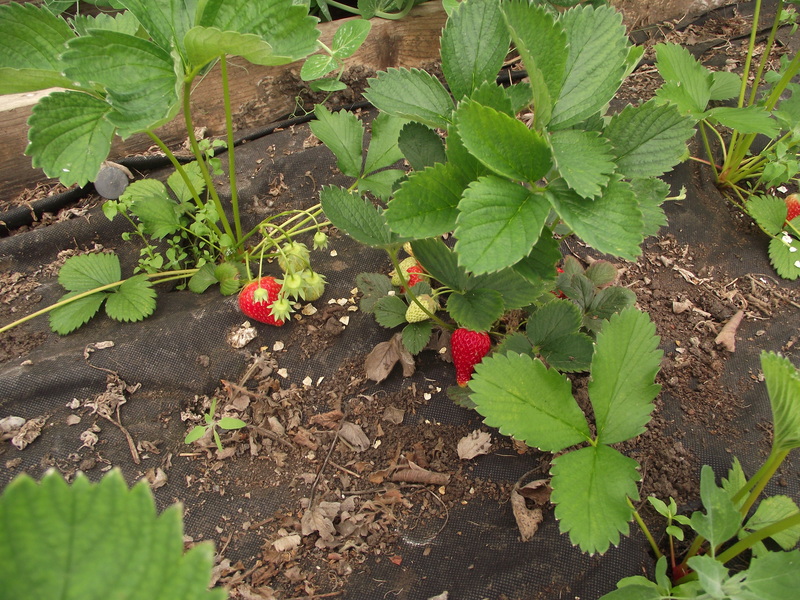 Lots of fun blanching and freezing to come!! Outside in the woody garden bit the English Bluebells planted last year are coming through – they seem a little less flowery this year, but more green so the bulbs are clearly settled. 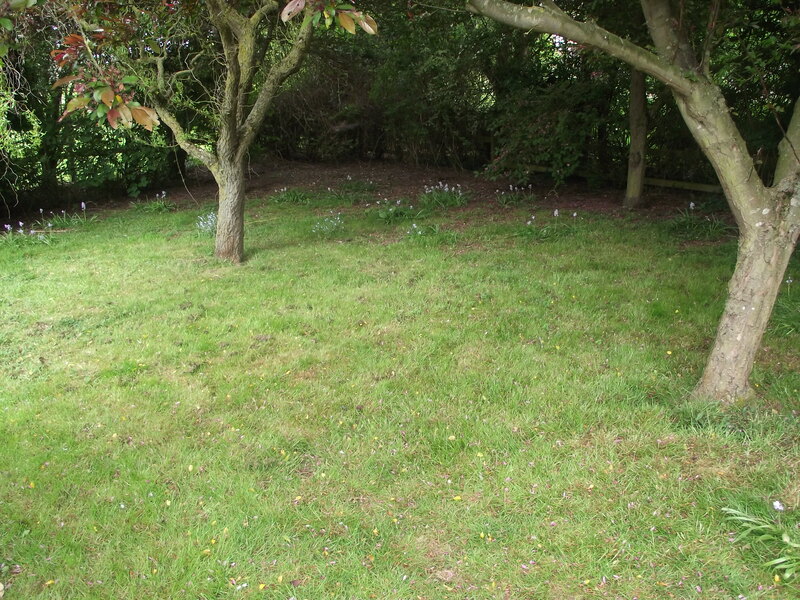 Sadly the tractor still does not work – I am now getting worried about controlling the pastures. I have just started to embark on my Summer project………it is going to be a lot of back-breaking work but will be really great when finished – more in the future when I have something to show.